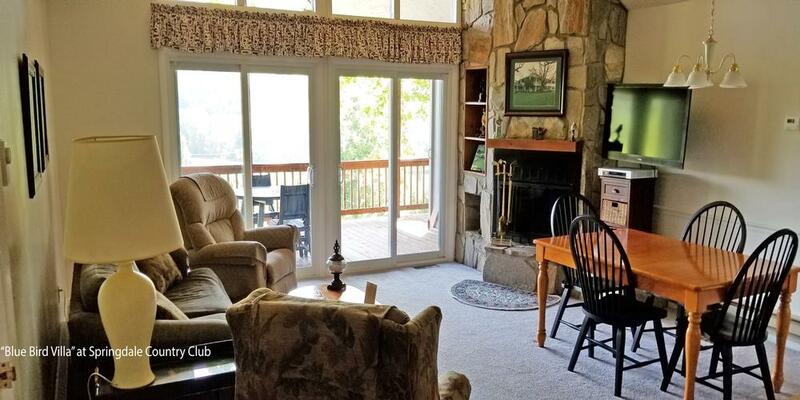 - Outstanding Stay and Play Packages in the Carolina Mountains. Fred Tingle had a vision. Tingle was the executive of the Butterick Corporation in Manhattan, NY, the creator of the first graded sewing pattern. Fred saw himself as a golf course owner, one day retiring to the mountains - somewhere - and running a little nine-hole course he had built, well into his golden years. As fate would have it, 550 acres of land in the Blue Ridge Mountains of North Carolina that he had his eye on became available. Fred had hesitated when this same piece of property was for sale several years earlier and, as the saying goes, if you snooze you lose. Now, this very property was being auctioned off on the courthouse steps of Waynesville, North Carolina. Fred didn't hesitate the second time. The land that Tingle purchased had at one time been the site of Springdale Farm, a girls camp in the early 60's where the kids spent their summers harvesting vegetables, milking cows, collecting eggs, hiking the trails of the Blue Ridge Mountains and tubing the cool waters of the Pigeon River. Unbeknownst to Fred at the time, Springdale Farm would become the main provider of all of the milk, eggs and vegetables used at his new venture. In 1968, Springdale Country Club opened as planned - Fred's nine-hole dream. Golf's popularity was on the rise and soon after opening, Fred and his wife Eunice realized that nine holes were simply not enough. 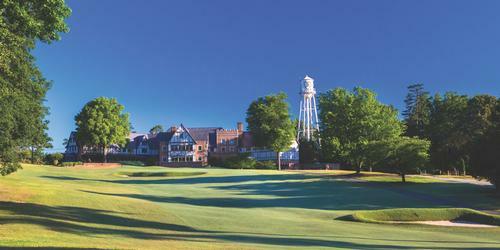 In 1972, Fred opened up the second nine and the Springdale Country Club as it is known today was born. After building the second nine, Fred and his wife Eunice would sit around the clubhouse waiting for golfers to show up. 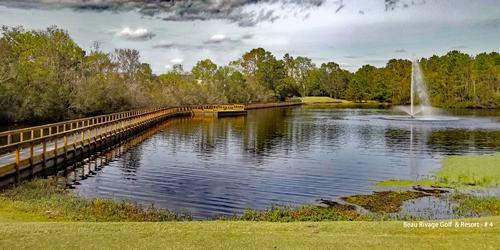 Since the area wasn't exactly teeming with golfers ready to beat down their door and play a few rounds, Fred and Eunice decided they were going to have to do something different in order to entice golfers up and down the east coast. They decided to build a few cabins and a small restaurant on the property and promptly took out a small ad in Golf Digest, announcing their new Mountain Golf Packages. Slowly but surely, people began to show up. They saw firsthand all that Springdale had to offer and began to tell their friends. Business picked up for the Tingles and before they knew it, golfers were coming down from Canada and the Great Lakes region and up from the hot summer sun of Florida to experience mountain golf and the delicious food served up at the restaurant. 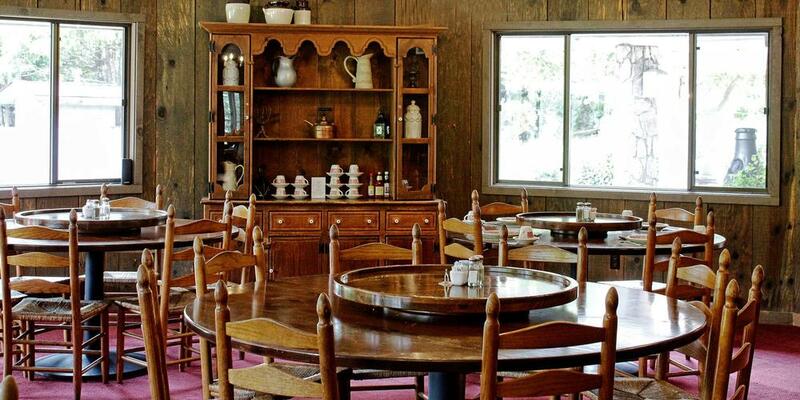 Rather than hire a restaurant staff, the Tingle's employed local moms and grandmas to cook up tasty Southern home-cooked dishes: biscuits and gravy in the morning, fried chicken, mountain trout, chicken pot pie and meatloaf in the evenings. The food was served family style as it is today, allowing guests to eat all that their hearts desired. 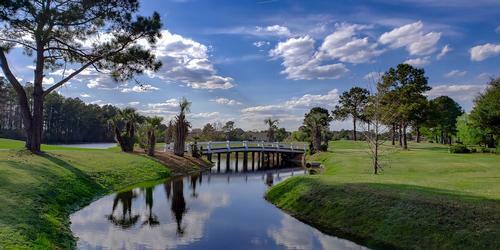 What had started out as a nine-hole dream had now become a full-fledged golf resort. The mountains can have a profound affect on a golf course. Case in point is the green on Number 7. The green looks like it slopes dramatically from front to back, however the mountains can play tricks on you, and it is actually the opposite. Once you realize what's happening, it makes things interesting the rest of the way around the course. I have it on good authority that the nines are going to be reversed and the course will once again be played as it was originally routed. 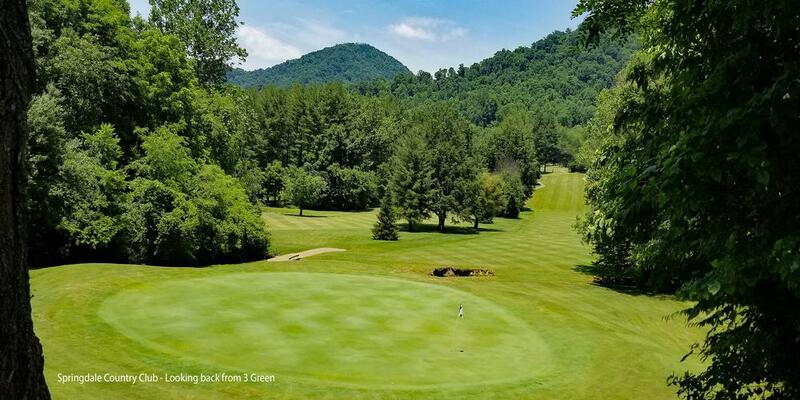 The (soon to be) front nine starts out with a links golf feel as it meanders through the valley bordering the east fork of the Pigeon River with lovely mountains views of Sugar Top and Rocky Face. The first six holes offer more generous landing areas off the tee and are fairly wide open. It's a good opportunity to gain the accuracy you will need on the back side. The final three holes on the outward nine are the start of what will be an exciting round of mountain golf. The (soon to be) back nine takes you on a roller coaster ride through the mountains, with huge elevation changes. In addition to challenging golf holes, you'll enjoy stunning scenery, including breathtaking views of Cold Mountain. The par 4, 13th (soon to be 4th) is Springdale's most memorable - and challenging - hole. Affectionately dubbed The Springdale Spasm, this hole is sure to cause you fits; if you haven't played it before, best of luck. It's a 414-yard (White Tees), uphill, dogleg right that requires length of the tee, just to have a peak at the green. To complicate matters, there's a mountain stream that runs down the right side of the fairway and crosses it at the 150-yard mark. Hit it right off the tee and forget about it. Complete the first task successfully and all that's left is a long iron or hybrid, down a very narrow fairway to an elevated green, protected by bunkers on either side. 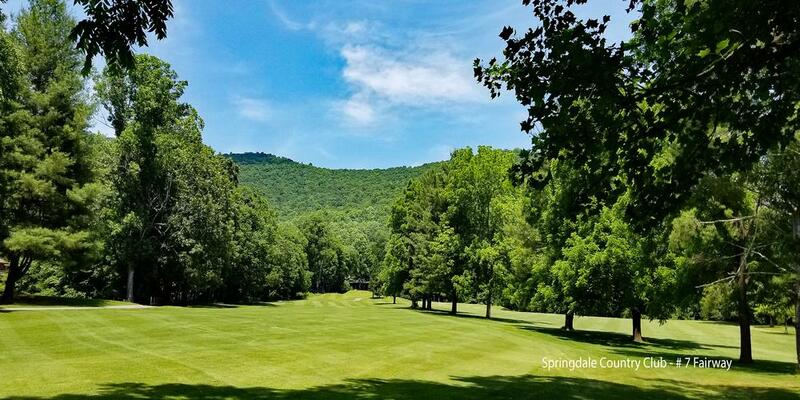 In addition to very affordable membership opportunities, Springdale offers some of the best Stay and Play golf packages in the North Carolina Mountains. All packages include lodging, a daily breakfast buffet, golf, golf cart, family style dinners, and daily housekeeping service. Many of the vegetables are grown in Springdale's gardens, so come hungry. All rental units can accommodate at least four people in each unit. 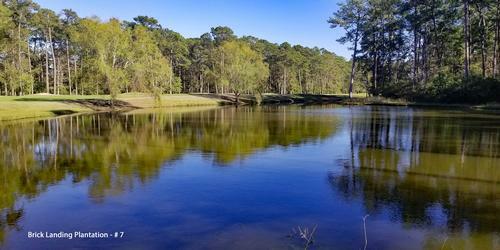 Springdale offers guests a variety of accommodations including golf villas, roundhouses (literally) and cottages. The Golf Watch Villas are the resort's premium accommodations and overlook the 10 and 11 holes and feature 2 large bedrooms - one on each side of the villa - with the living room and kitchen in the middle. Each bedroom has 2 full size beds and a full bathrooms, washers & dryers, and a covered deck with outside seating. Springdale's Roundhouse accommodations have 2 bedrooms with 2 twin beds in each room, 2 full baths, and a full size kitchen and living room. The Roundhouses are the perfect accommodation for a group of 4 looking to spend some quality time on the golf course and then enjoy their own bed at night. 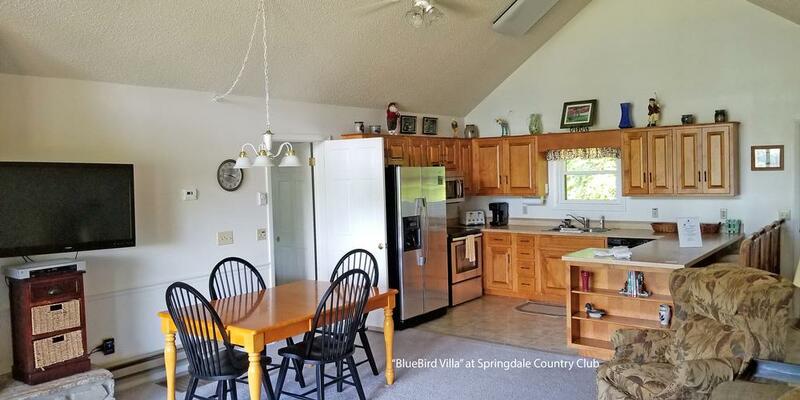 Springdale also offers Country Cottages and Forest Homes, each with 2 bedrooms with 2 twin beds in each room, 2 full bathrooms, a full size kitchen and spacious living room. Whatever your group is looking for, Springdale can provide. 1. Drive your golf cart up to the clubhouse for breakfast. 2. Enjoy your southern buffet breakfast and head to the first tee (or driving range if you're really committed) with a full belly. 3. Play the front nine. 4. Pick up snacks and beverages at the turn and get ready to take on the back nine. 5. Play the back nine. 6. Return to the clubhouse, lie to others in your group about your best shots on The Springdale Spasm. 7. Enjoy a family style dinner. 8. Drive your cart back to your accommodations, relax and get ready to do it all again the next day. If this sounds like something you and your golf buddies (or spouses, of course) would enjoy, call Springdale Country Club at (828) 235-8451. Springdale Country Club does not offer online booking, instead they prefer the old-fashioned talk-to-someone-on-the-phone approach. That's how they've done business for years. For more information, visit their website at www.springdalegolf.com.